Spain is out of recession but the recovery remains nascent. Investment will be an important driver of growth, supported by a less austere 2015 budget. The economy will not accelerate in 2015 with an estimed growth of 1,3%. 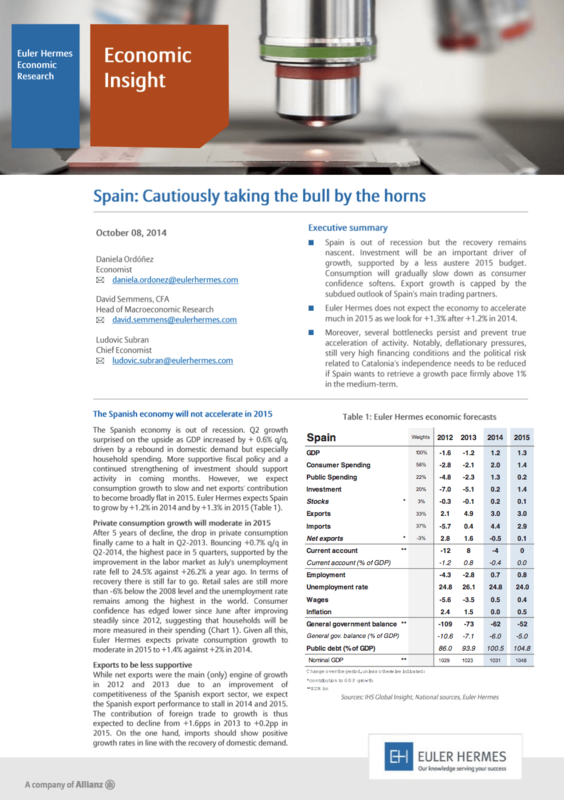 Discover the details of the forecasts, key economic indicators and the risk factors for Spain in 2015.